So just to give y’all a heads up, this will be the last comic update for the year. There will be two full color illustrations to finish out the year, but I’m taking a break for the holidays. Traffic is notoriously slow for everyone, and I’ve got a little babby goober right now so I’ve gotta up my Christmas from here on in. 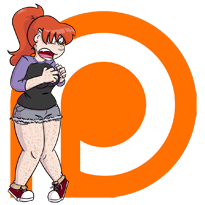 I will still be updating my patreon, so please do me a Christmas miracle and pop over to that and consider supporting me, or at least spread the holiday cheer and maybe tell a friend about the comic and force them to read it or something. So keep voting for the comic (I see all of you new voters and I love you), and pop back over the next two weeks for the illustrations, and I’ll see all of you with new pages on January 3rd.